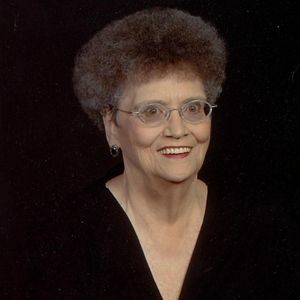 Mary Dean Holder Barlow, 82, of Owensboro, passed away Thursday, January 31, 2019, at Signature Health Care at Hillcrest. Born May 6, 1936, at Vanceburg, she was a daughter of the late Edwin Victor and Mary Irene Sullivan Holder and was a graduate of the Murray State Nursing Program. She worked as a registered nurse and head of Infection Control at Owensboro Daviess County Hospital. Mrs. Barlow was a member of Owensboro Christian Church, Kentucky Nurse’s Association, and the UK Alumni Association. Surviving are children, Joseph W. (Pam) Barlow, Jr. of Owensboro, Ellen Williams of Versailles, Lisa Barlow (Bob) Elliott of Lexington and Lora Barlow Michael of Broomfield, Colorado; grandchildren, Matthew Elliott, Rachael Elliott, Julian Michael, Jordan Barlow (Sid) Hayden, Samantha Barlow, and Marley Williams; and a great-grandchild, Luke Barlow Hayden. In addition to her parents, she was preceded in death by her husband, Joseph William Barlow, Sr. in 1996; and brothers, Edwin Victor Holder, Jr. and Neville E.M. Holder. Services will be at Noon Monday, February 4, 2019, in the chapel of Glenn Funeral Home and Crematory with burial in Owensboro Memorial Gardens. Visitation will be from 2:00 p.m. until 6:00 p.m. Sunday, February 3, 2019, and after 10:00 a.m. Monday. Expressions of sympathy may take the form of donations to tanceburg Christian Church or to Owensboro Christian Church. Memories and condolences to the family may be shared at www.glenncares.com.